Out today! 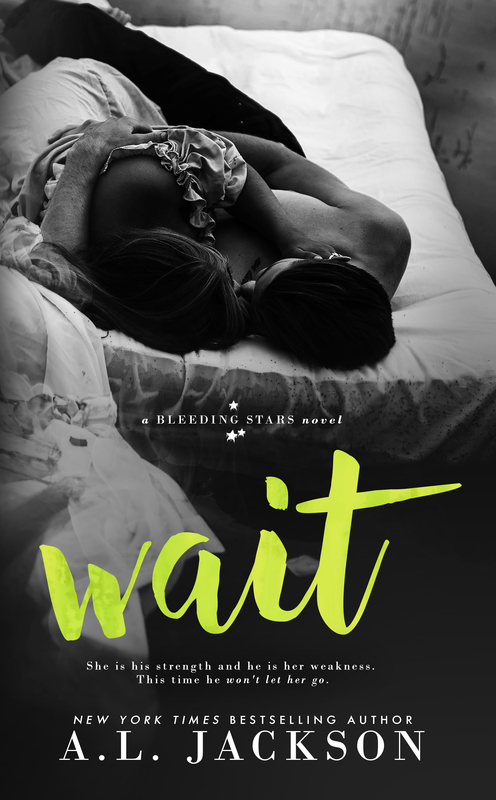 WAIT by AL Jackson Excerpt & Giveaway! From NYT & USA Today bestselling author AL Jackson comes a new adult contemporary romance. WAIT is part of the Bleeding Stars series, but can be enjoyed as a stand-alone. Catch the excerpt, trailer and enter the giveaway below. Interested? You can find WAIT on Goodreads, Amazon, Barnes & Noble, iBooks, Kobo and Google Play. Click on this Rafflecopter giveaway link for your chance to win. Connect with A.L. Jackson online on her website, Facebook, twitter, Goodreads, Amazon, and Instagram.